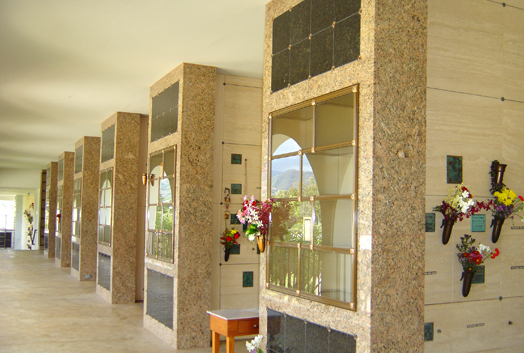 In order to accommodate the high rate of cremations in Hawaii, over 600 niches were added to the 2nd floor of the Mausoleum in the summer of 2006. The Garden of Peace now boasts a wide selection of niches for every preference. We’ve introduced granite shutters in new colors such as Blue Pearl and Imperial Brown to create a more tranquil and inviting environment. Glass niches with a bronze or koa wood frame allow families to view the urns of their loved ones. The new Hibiscus Room offers glass niches, with premium niches fronting stained glass panels with a hibiscus design. The original niches in the Garden of Peace are larger than the new niches and can accommodate most oversized urns.